With celeb ambassadors like Lily Collins, Kate Winslet, Lupita Nyong'o, and Julia Roberts, Lancôme's product launches are never without fanfare. Take its newest and highly anticipated formula, the Monsieur Big Mascara ($25), which is set to debut in retail spaces nationwide on July 1. Taylor Hill is the face (or should we say lashes?) behind this volume-boosting formula, which promises lush and supple density. 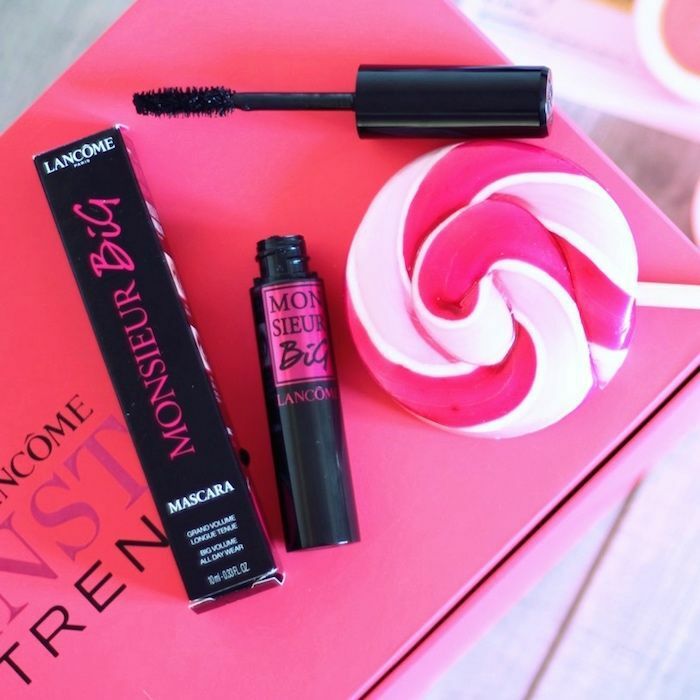 If it's anything like the brand's other lash-boosting formulas (shout-out to Grandiôse Extreme Mascara $32), then it's sure to make good on its claims. Enter Lancôme's newest (albeit ephemeral) venture: an L.A.-based pop-up shop where the brand will be giving out free sample- and full-size versions of the new mascara to all visitors. Yes, every single one. Lancôme will also be giving away other best-selling products, hosting expert-led makeup classes, and organizing something called "the Lancôme Candy Shop." We're intrigued. The last thing you want to do is miss out on this, so keep reading to learn where and when the Lancôme pop-up shop is happening! From June 9 through June 11, Lancôme's L.A. pop-up will be taking over Bazar, an antique store located at 1108C Abbot Kinney Boulevard. The Venice Beach shop will be open from noon to 8 p.m. on Friday and 11 a.m. to 7 p.m. on Saturday and Sunday, all the while staying fully stocked with Lancôme products and experts. According to the press release, "All attendees to the pop-up will receive a deluxe sample of the brand's new mascara, Monsieur Big." However, if you're one of the first 100 attendees each day, Lancôme will do you one better, gifting you with a tote bag and a full-size mascara. As if that's not enough motivation to attend, there will be "special games and experiences throughout the pop-up where guests can win free full-size new and best-selling products." So even if you have 10 different mascaras lying around (no judgment), there's ample opportunity to take home other Lancôme favorites. Just be sure to stick around for one of the mini makeup classes that will be scheduled throughout the length of the pop-up so you can glean insider tricks, tips, and trends straight from the source—makeup artists. Believe us: Any time spent in the presence of a makeup artist is time well spent. Will you be attending the Lancôme pop-up shop? Let us know in the comments below!